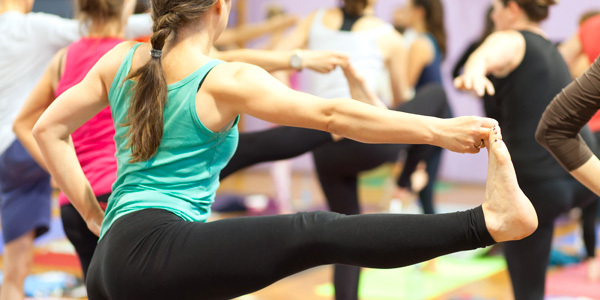 SCW Certifications offer a variety of 35+ courses, spanning over 30 years, that range from General Certifications such as Group Exercise, Personal Training and Aqua to Specialty Certifications including Barre, Yoga, Aging and Meditation. These extensive courses are nationally recognized and accredited providing detailed manuals, comprehensive videos, and automated testing procedures. Each course is authored by a professional with a graduate degree who has over 20 years of practical fitness field experience. The certification exam is fully automated and online, instantly producing beautiful downloadable CEC Certificates suitable for framing. SCW is committed to live training. Every Online SCW Certification includes a FREE live course at all nine (9) of the MANIA® Fitness Pro Conventions! SCW appreciates that our fitness industry requires education that demands physical, active training to better serve our health and wellness communities.The live, full-day practical instruction utilizes unique training protocols to enhance every leadership technique including: practical demonstration, exercise sequencing, and stellar teaching skills. Every certified professional is provided the knowledge to become an expert in their field of choice through class structure design, routine creation and leadership development. As the leaders in Fitness Education, SCW routinely expands our professional fitness education offerings. SCW Certifications are Reliable, Respected, and Recognized! 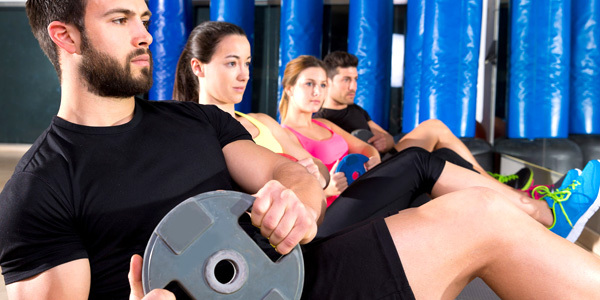 This course provides the perfect blend of practical and theoretical teaching techniques for those who desire to become successful Group Exercise Instructors. Class sequencing, warm-up, progressions, musical phrasing, proper cueing techniques, choreography development, and all other practical skills are emphasized so that you can teach your best class every time. 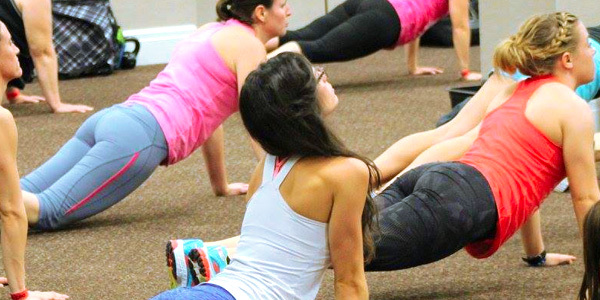 Upon completion of this course, you will gain the confidence to teach a group exercise class to participants who have varying levels of fitness. This comprehensive program is designed to provide participants with all of the skills required to become a successful Personal Trainer by combining academic study with the latest practical research. Each student will learn cutting-edge information on exercise physiology, kinesiology, flexibility, strength training, injury prevention, and cardiovascular programming. Participants will experience the most contemporary mind/body methods, sports performance enhancement drills, and program design techniques as they apply to personal training. 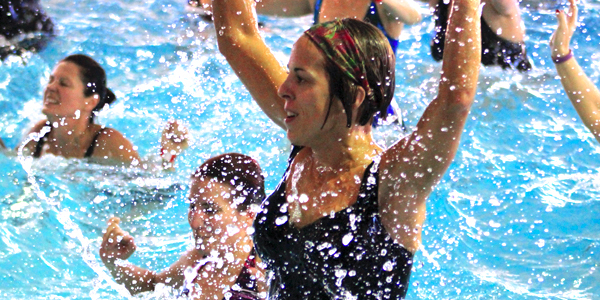 Develop the skills vital to become a successful aquatic exercise professional. 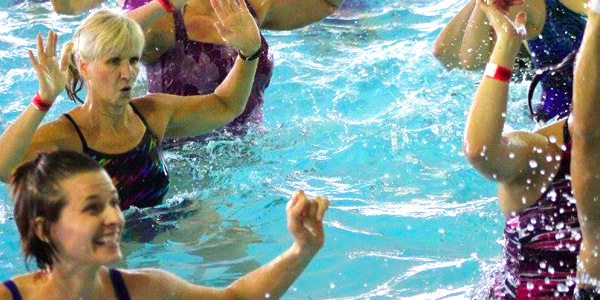 Drawing on over 50 years of combined experience in the aquatic fitness industry, this certification is an important first step into the field of teaching aquatic exercise and emphasizes practical skill mastery. It also addresses the benefits of aquatic exercise, the aquatic environment and principles of water, general anatomy and kinesiology, water depth, appropriate movement plans, and working with special populations. 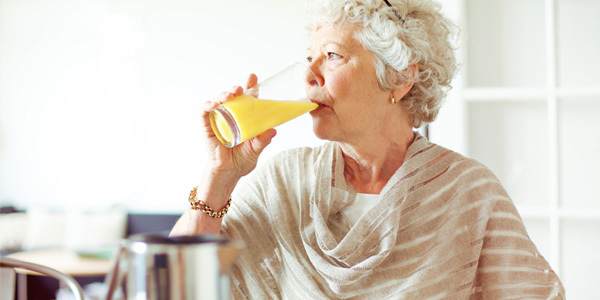 Many individuals are living longer and better than ever. Cutting-edge research reveals the secrets involving aging and how we can proactively become involved with our chronologically enriched friends. We know that we can train and retard the aging process by focusing on mental health, cardiovascular conditioning, strength training, flexibility and fall prevention and balance. Lawrence will discuss why we don’t just “teach seniors” any longer. 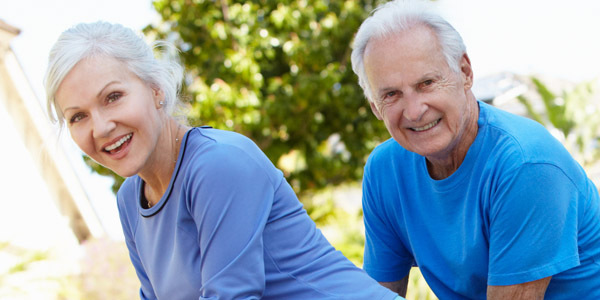 Group fitness instructors, personal trainers and those in charge of active aging programming will enjoy this exciting day that combines research and practical approaches for training the brains and bodies of our 50+ participants. Bring the extremely popular Barre format to the pool with this brand-new certification, which uses a noodle as a ballet barre for stability. Learn how ballet-inspired movements and gentle resistance can strengthen arms, legs and especially core. Experience isometric movements that will tone every muscle in the body. Explore long lever movements to lengthen, strengthen and improve your range of motion. Leave with innovative programming that will allow you to creatively plan multiple Aqua Barre workouts appropriate for all levels of fitness. 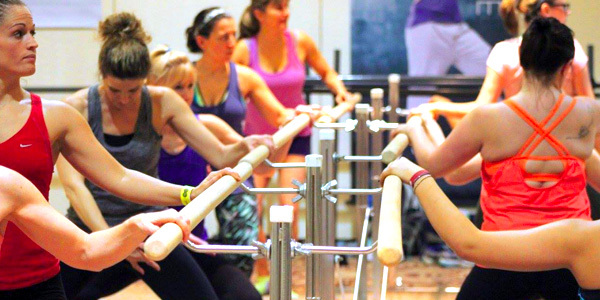 This one-day certification will enable you to teach Ballet Barre to your clients, implement programming in any facility, and does not require a dance background. Ballet Barre combines the core conditioning associated with Pilates and flexibility improvements that occur with Yoga. Additionally, your clients will increase stability by using isometric exercises that incorporate a fixed Ballet Barre. You will leave with an easy-to-follow, pre-choreographed, 60-minute Barre format that includes a plethora of variations. This will enable you to discover creative ways to structure your own Barre workouts with equipment options that include light dumbbells, flat resistance bands, mini-balls, and more. This certification provides the tools you need to implement the basics of boxing into programs you already teach. This comprehensive program explains the “sweet science” behind the sport, and you’ll leave with the knowledge and confidence to empower others – from novices to well-trained fighters. 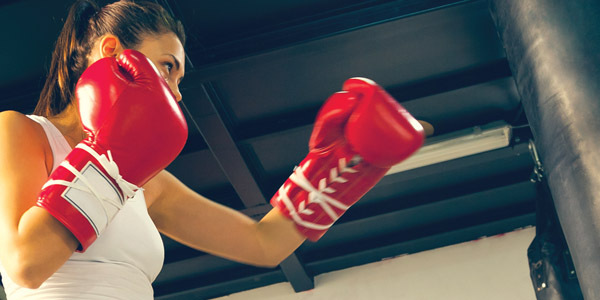 This certification will explore three learning styles, auditory, visual, and tactile, and provide you with several authentic workouts that would be taught at a traditional boxing gym. Self-myofascial release, also known as foam rolling, has transformed from a once elite recovery technique into a daily fitness practice appropriate for all levels. Recent research, technology and affordable products have made this part of today’s fitness culture. Self-massage is effective when applying pressure to specific points on the body and can be used to decrease tightness, increase mobility and improve joint stability. Correct Foam Rolling leads to faster and more complete recovery. This four-hour intense training will offer guidelines for Fitness Professionals on how to use foam rollers with coaching options. We’ll examine the science of muscle, rolling and relaxation techniques and spinal alignment for enhanced posture. SCW Fitness Education Functional Flexibility Certification is based on science and the pathways to create conscious movements with beneficial, subconscious results. It gives personal trainers new and necessary strategies and tools and techniques to develop individual programs consisting of corrective exercises, which will enhance the lives and mobility of their clients. Participants will explore the language of movement in three planes of motion and understand the influence of gravity and ground reaction based on principles of applied functional science. Trainers will discover how to assess posture, determine strengths and weaknesses, and lengthen and strengthen their client’s muscles for optimal and authentic movement. This course is very beneficial for trainers looking for more ways to observe and correct faulty movement patterns that inhibit client’s efficiency. Experience a functional approach to Pilates mat utilizing props that simulate apparatus. Whether a seasoned Pilates trainer or new to teaching, you leave with essential tools and concepts that give you many ways to change a Pilates mat class for variety and implement progressions and regressions effectively. Learn how to combine classical repertoire with a modern approach that challenges your students both vertically and horizontally to improve everyday activities, posture and reduce overuse injuries. Discover how to train your clients through various planes of motion and recognize postural concerns so you utilize exercises that lead to a better quality of life and improved functional strength. 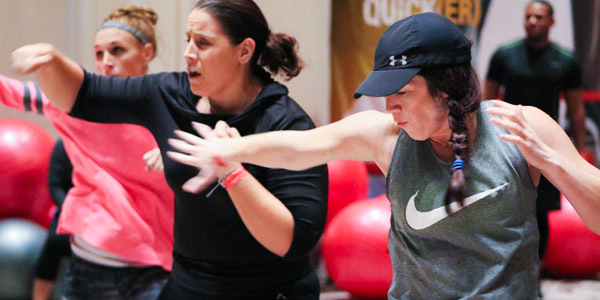 Build on your group fitness certification by learning the specific skills necessary for delivering step classes to participants of all fitness levels. 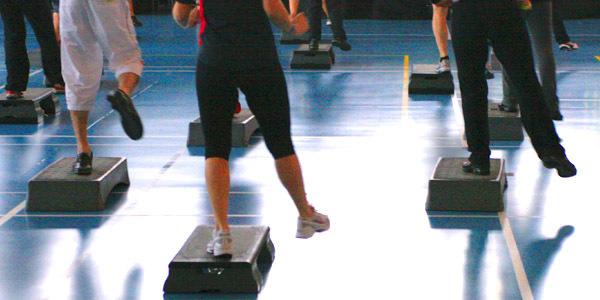 A review of theoretical information including anatomy, physiology and biomechanics specific to step will lay a strong foundation for you to teach a successful Group Step class. Learn to take combinations and break them down with proven teaching methods from the masters to gain a clear understanding of what it takes to make a step class work. Design a program that integrates various small apparatus equipment for traditional group exercise, Boot camp and Small Group Training classes. Utilize dynamic techniques, which incorporate multi-muscle and multi-joint exercises. Traditional and non-traditional strength training principles will be reviewed and fused with practical application. SCW (4.0), AFAA (4.0), NASM (0.4), AEA (2.0), ACSM (4.0). 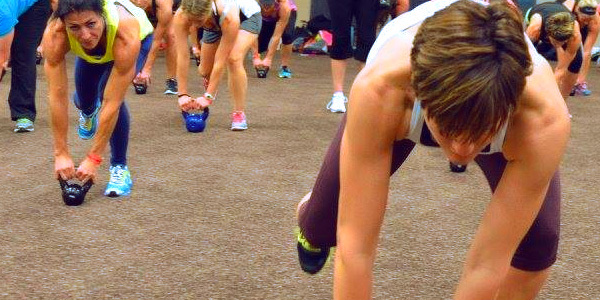 Light a fire with the hottest HIIT training certification from SCW. This six-hour, in-depth course reviews the science behind metabolic conditioning, functional training and high intensity interval training. Trainers develop essential coaching skills through practical application. 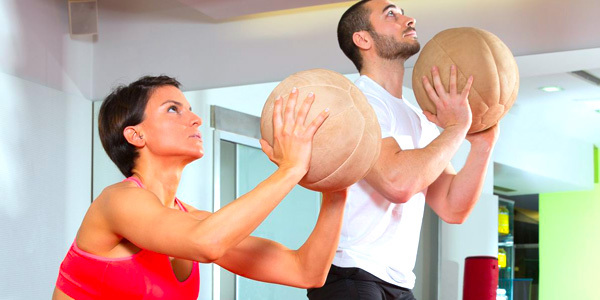 This step-by-step system provides you with three full total-body metabolic workouts suitable for Small Group Training and traditional Group Exercise settings. Kettle weights are a popular strength training option. Unfortunately, little has been done to educate Personal Trainers about the appropriate movement patterns, methodology, and biomechanics of this highly effective modality. This in-depth study of planes of motion and exercise prescription with kettle weights offers a variety of traditional and modified lifts and assists the Personal Trainer with gaining a thorough understanding of each exercise. Fuse science with practical training to lead your own kids’ fitness program. This certification examines basic pediatric exercise science and the many differences between children and adults. 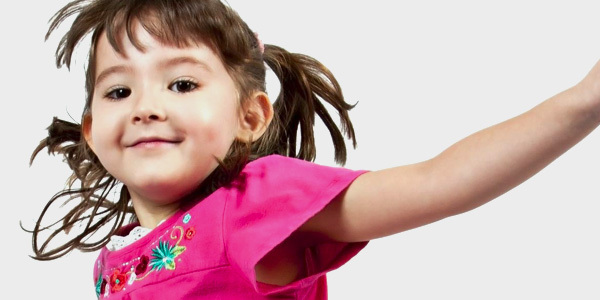 This comprehensive course will look at developmentally appropriate movement for kids within the range of 2 to 12 years of age and provide endless programming ideas. Learn the art of rapport-building, motivational interviewing, overcoming ambivalence and resistance, personality indexing, neuro-linguistic programming and behavioral change. Additionally, you will focus on how to engage individuals by igniting their passion for change and empowering them to become successful and self-sufficient. Become an innovator and combine the science of programming with the art of behavioral change, coaching and communication. 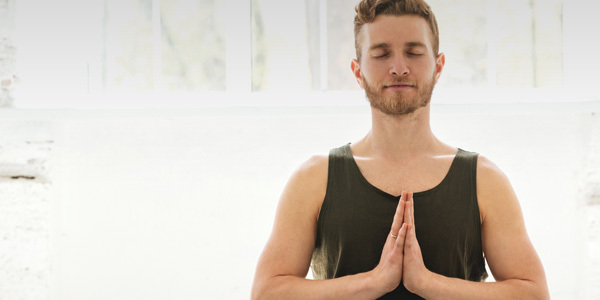 Learn the background to traditional tenets of Eastern meditation, from principles to prana to practices. Fuse theory and practical meditation techniques to gain a deeper sense of self and consciousness. Learn mindful skills that gradually progress with the potential to develop into a lifelong practice for yourself and others. 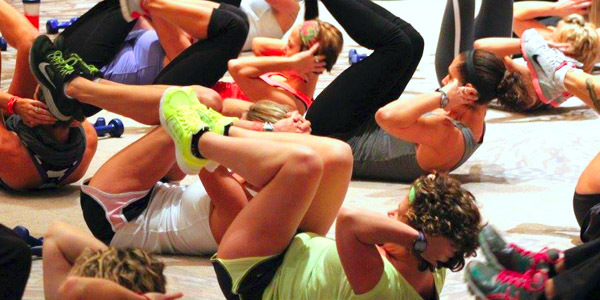 SCW Fitness Education Mind Body Fusion Certification provides the skills necessary to develop and create a successful fitness class in a club and fitness studio environment. 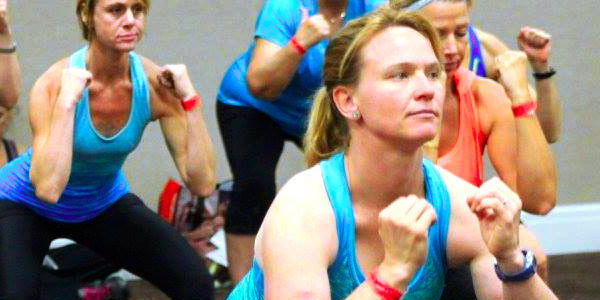 This course provides the initial step into teaching a fitness-based Mind Body Fusion class with emphasis on elements, principles, forms and program design. Discover how biomechanics, kinesiology, and the physiology of fitness training affects pre-natal, pregnant and post-partum women. 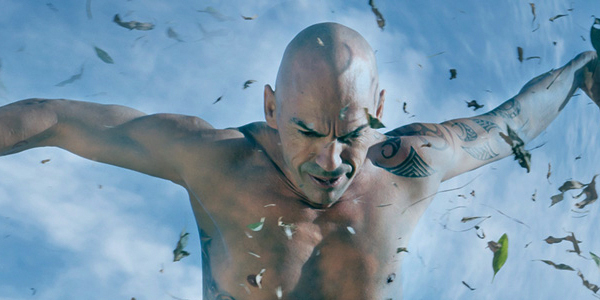 Land aerobics, aquatic aerobics, and personal training techniques will also be addressed. This specialty certification takes you through the basics and beyond of balance, stability and functional performance training on and off the stability ball. Participants will be introduced to the physiological, biomechanical and kinesthetic awareness principles, which form the foundation for stability and performance. Practical application will create programming ideas and exercises for all populations. Introduction to the fundamental understanding of core strength and stabilization as it applies to Pilates matwork and physical therapy techniques. Proper execution of form and technique are explored as it applies to the fitness enthusiast. Matwork fundamentals is designed for everyone – young, old, athletic, sedentary, and even those rehabilitating from injuries. Evolved Pilates mat exercises using props and small apparatus including stability balls, medicine balls, foam rollers, straps, and fitness circles. Class sequencing, creativity and choreographic progressions for a variety of clients, and class settings are covered, focusing on proper execution of form and technique as it applies to group and personal training. Prior Pilates training recommended. This practical program provides participants with cutting-edge information on nutrition, hormones and metabolism. In easy-to-understand terms, learn how each macronutrient operates within energy pathways and how digestive and reproductive hormones affect metabolism. The body’s adaptations to an incomplete diet and/or disease and the physiological consequences during various exercise regimes will be addressed. Understanding the art and practice of program design is critical to all Personal Trainers who teach Small Group Training classes. In this certification course, you will learn how to effectively utilize resistance tubing, steps, weighted bars, Gliding Discs and medicine balls. Learn critical body alignment and movement progressions to enhance motor learning and skill development for five functional program designs. SCW (7.0), AFAA (7.0), NASM (0.7), AEA (4.0), ACSM (7.0). 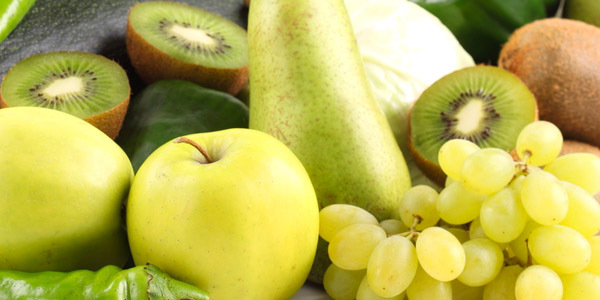 Apply the foundations of healthy diet and how it relates to all fitness regimens. Learn the latest on supplementation, dietary planning techniques, steroid and ergogenic aid usage, herbal supplementations, fat burning options, body fat testing techniques and sports performance. 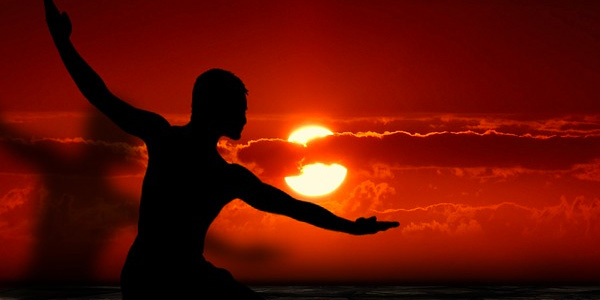 Some claim that T’ai Chi is one of the oldest forms of group exercise on the planet. Learn exercises from Qi Gong, which can be done in any order, at any time of the day, and without equipment. These exercises are also known as the age old Yang Short Form of T’ai Chi. Teach your Clients to feel more invigorated, more energized, and more balanced from this natural choreographic flow of wellness. 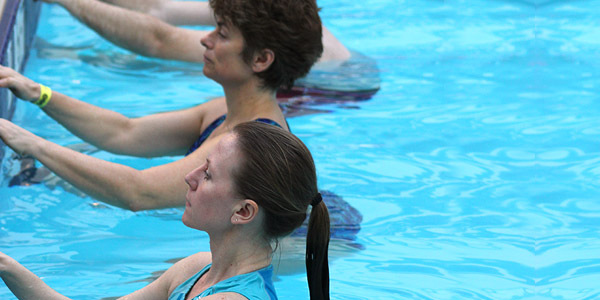 WATERinMOTION® is the perfect certification for aqua instructors to take their classes to the next level. This comprehensive training includes a 5-part online course addressing the principles of water exercise, the RIPPLE teaching method, verbal and visual cueing techniques, deck teaching skills and active aging principles. The live full-day practical training utilizes choreographed routines to enhance your class sequencing, musical phrasing and choreography leadership. After completion, you will be certified in WATERinMOTION® & WATERinMOTION® Platinum. 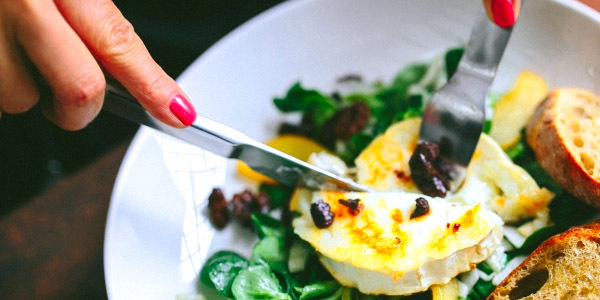 This course provides the knowledge to teach your Clients how to make healthier dietary choices using applicable research and traditional diet and exercise practices. Teach your Clients how to safely and effectively lose weight. 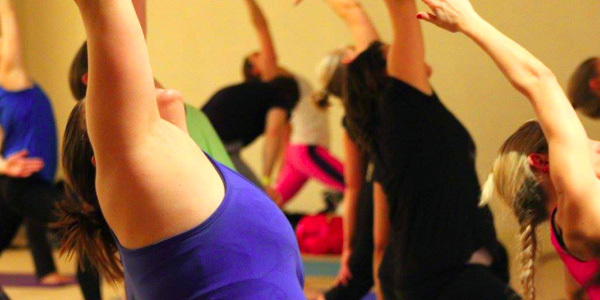 This certification is one of the fitness industry’s most comprehensive theoretical and practical approaches to yoga, teaching a hands-on approach to different Hatha yoga postures suitable for varying clientele. Research, postures, program design and cueing techniques will be addressed so that participants will leave qualified to lead a successful yoga class or passionate yoga-inspired cool down. Take a deeper look into the fundamentals of Yoga instruction from an authentic, fitness-appropriate perspective. This condensed course serves as the next level of the Hatha Yoga postures discussed in Yoga Fundamentals I while addressing the eight limbs of yoga, detailed pranayama study, partner yoga, inversions, chanting, and chakras. Stretch your mind to learn a comprehensive, theoretical and practical approach to yoga. The fluid choreography includes a thorough warm up, a challenging class format, and a cool down emphasizing increased flexibility and stress reduction. Individual pose progressions may be used alone or can be combined with other pose sequences to create a more customized series.